To our clients: We are so grateful to have the good fortune of working with you over the years. Thank you, clients, friends, clients who have become friends, and friends who have become clients! :) We really appreciate you and are thankful for your wonderful referrals. To our future clients: We look forward to helping you, too! If you would like to get in contact with some of our clients to learn more about the level of service we provide, just ask. For now, please check out these comments kindly written by our awesome clients. These are from Windermere surveys as well as personal cards and emails. Natasha and Bryon are exceptional Realtors! I have worked with multiple Realtors in the past both selling and buying homes. None match the services that Natasha and Bryon provide. We had 10 offers on our home in less than 3-days. Most of the offers were above our asking price which was already listed on the high-end. It's my belief the reason our home had so many offers was due to Natasha and Bryon's branded marketing, networking, home-staging, photography and advertising. Natasha and Bryon are extremely knowledgeable in the real estate market. If it's your desire to sell your home quickly and at the best price follow Natasha and Bryon's recommendations. We wanted to thank you for all your help in selling our condo and the purchase of our new home. We couldn't have done it without you and you did it in record time. There is no doubt in our minds our decision to work with you was the correct one. You couldn't have been easier to work with and couldn't have worked any harder on our behalf. You were always available to us. If we ever contacted you at an inconvenient time for you, it never showed. Our experience with you has been the most pleasant we have ever experienced with a real estate agent. We would recommend you to anyone who wants an honest, hardworking professional agent. Thank you. Having recently relocated to the Seattle area, I was really in need of someone who clearly understood the Eastside housing market. Natasha proved to be a hardworking and knowledgeable resource, and did a fantastic job in finding me the house that was perfect for my needs. Natasha's personal touch along with her hard work is the reason I recommend her to anyone looking for their next home. Natasha went above and beyond what I expected! She made buying my first home straightforward and organized. She sent constant updates and if I had a question she did not know the answer to, she did everything to find an answer. She was so organized and made the process enjoyable, from finding the right property to moving day. She was great! Natasha & Bryon go above and beyond when it comes to customer service. When they delivered our keys they gave us a wonderful welcome package. They also made time to stop by and take a photo for us, in front of our first house! Thank you Natasha & Bryon for everything, the experience was first class from start to finish! 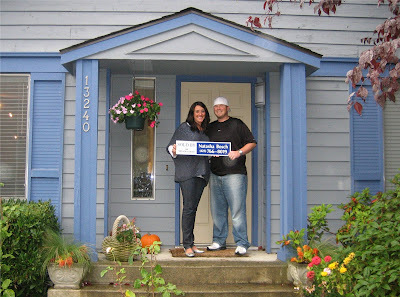 After this home buying experience, we will ONLY use Natasha & Bryon for any further real estate endeavors. We will also continue to highly recommend them to friends and family. Natasha develops and drives a clear action plan to achieving the goal. Her attention to detail keeps the people tasked with the steps on track in a tactful way. If not going to plan, she jumps in and gets it back on track. Natasha is amazing. Thank you so much for making this a great year and for being incredibly helpful for such a big deal in my life! You two are so great at what you do and are fast becoming two of my absolute favorite people. Thank you for your real estate expertise, great ideas, support, and your kindness. You have been the most gracious guides through the very emotional sales process! Thank you for the terrific job you did in marketing our home and in arranging for repairs and staging. We were very impressed with your efforts and attention to all the details in keeping the transaction together. I would not hesitate to recommend you and Windermere to my friends. Natasha is great at marketing - she has a wonderful sense of style! She knows how to showcase a home perfectly.